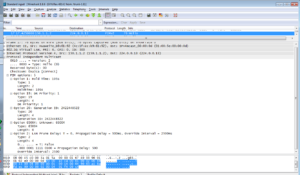 multicast receiver DR – responsible for forwarding multicast data to the group members. A static RP is recommended on small and mid-sized networks. A dynamic RP can be used on a large-scale network to improve network reliability and maintainability. In dynamic RP, candidate BSRs and RPs must be configured. Elected BSR collects RP information, summarizes that information into an RP-set and advertises the RP-set to the entire PIM-SM network. When the source sends the first multicast packet to a multicast group G, the source’s DR encapsulates the multicast packet in a Register message and unicasts it to the RP. An (S, G) entry is created on the RP and source information is registered. When a new group member appears on the network, the receiver’s DR on the group member side sends a JOIN message to the RP. A (*, G) entry is created hop by hop and an RPT with the RP as the root is generated. 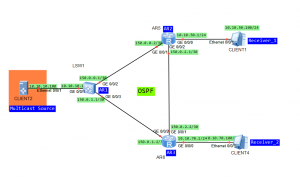 When a group member and a multicast source that sends multicast data to the group appear on the network, multicast data is encapsulated in a Register message and then unicasted to the RP. The RP then forwards the multicast data along the RPT to group members. As RPT doesn’t have to be a shortest path (SPT), SPT switchover is performed. By default, the RP performs SPT switchover immediately after receiving the first Register message and the receiver’s DR performs SPT switchover immediately after receiving the first multicast packet. 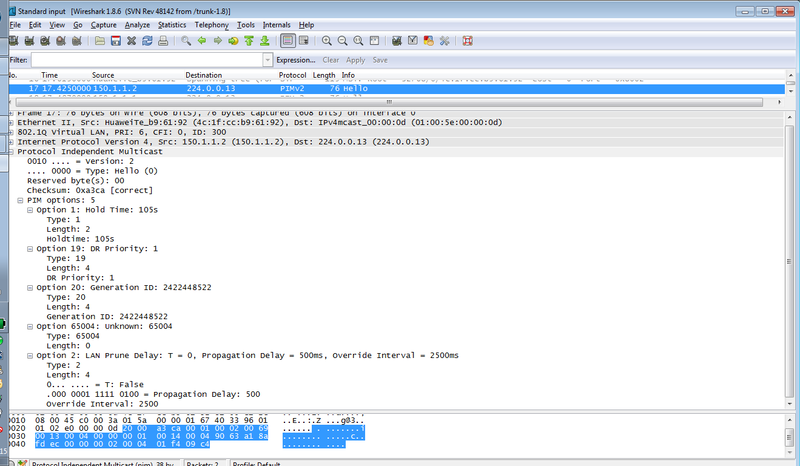 Then multicast packets are transmitted based on the SPT.